Biog. Brit. Life by Dr. Johnson and by Malone. 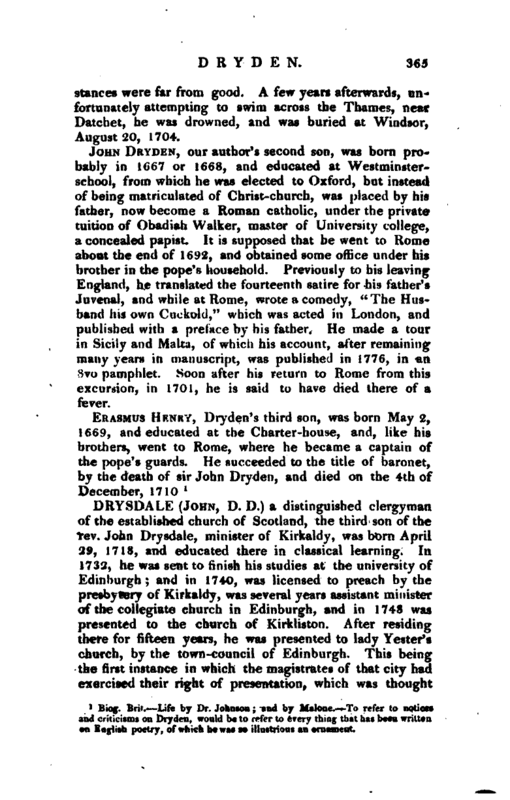 To refer to notices and criticisms on Dryden, would be to refer to every thins that has been written on English poetry, of which he was so illustrius an ornament.